Don’t delay in letting your guests know about your big day! 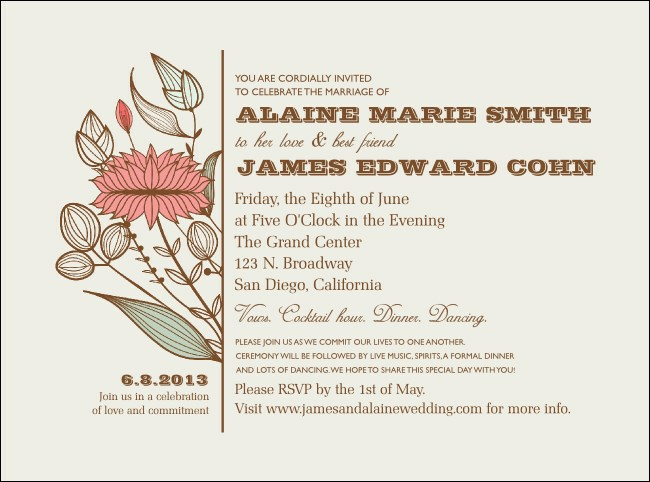 Send out Wedding Flower Motif Flyers in advance so your guests can save the date and start thinking about picking a new dress or getting that tux pressed. These Flyer templates feature an elegant pink flower traced in a unique design all on a classy pastel background. Old, new, borrowed, or blue, TicketPrinting.com offers something for you!